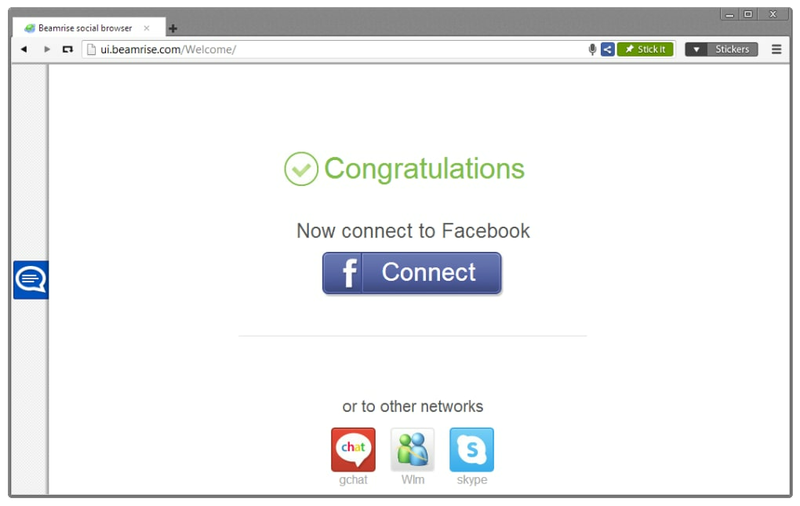 Make your web experience fun. While using Beamrise browser, not only can you find the answers to all your inquiries, but you can also stay in touch with your buddies from other social networks. 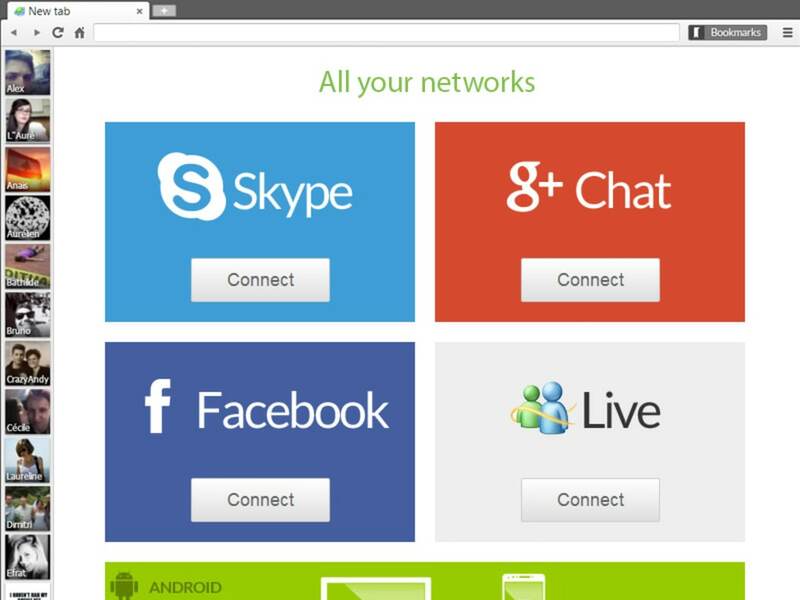 Our sidebar chat allows all our users to connect with social media platforms such as Facebook, Skype, and Google Chat, in order to communicate with your friends while on the web. 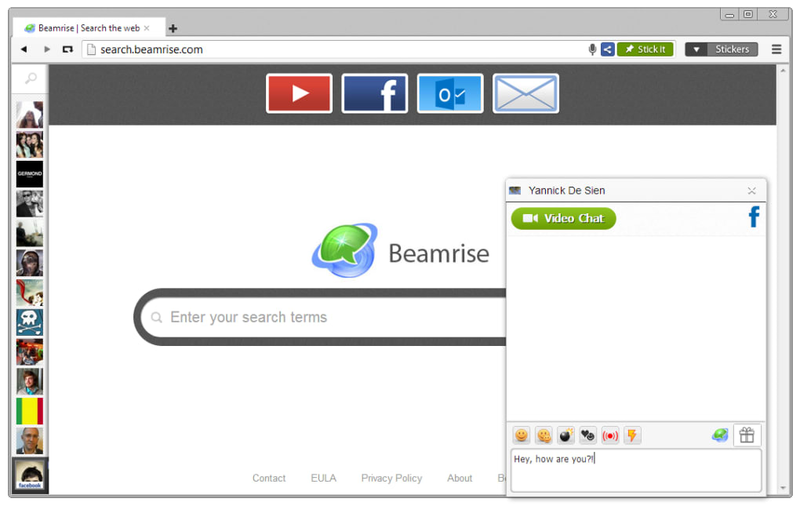 Simultaneously chat with your pals while scrolling through web pages when using Beamrise chat. 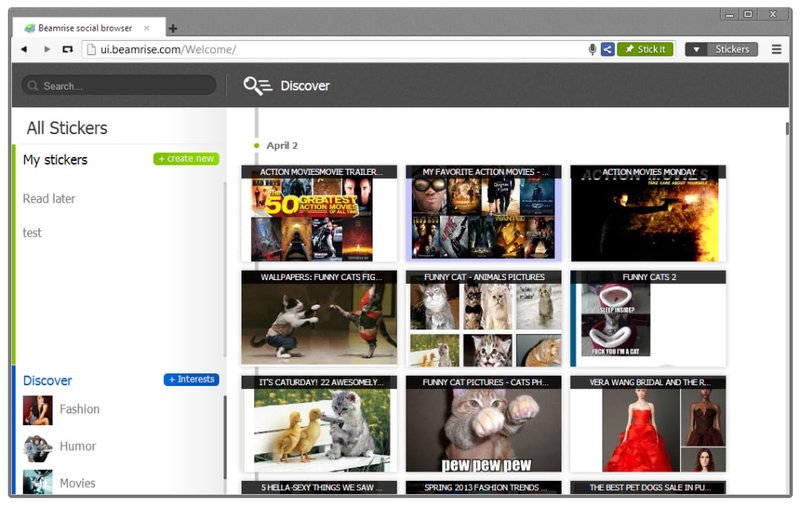 Discover the latest trends while surfing the web, and never forget the pages you visit! 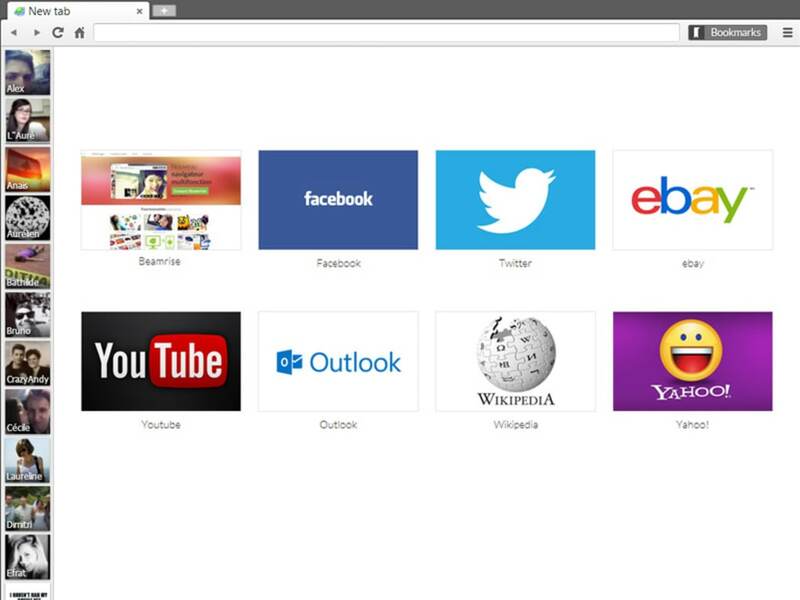 Stickers allows you to save any web site that you may search for, and quickly ‘Add' the site to your Beamrise history, enabling it to be saved under the bookmarks. 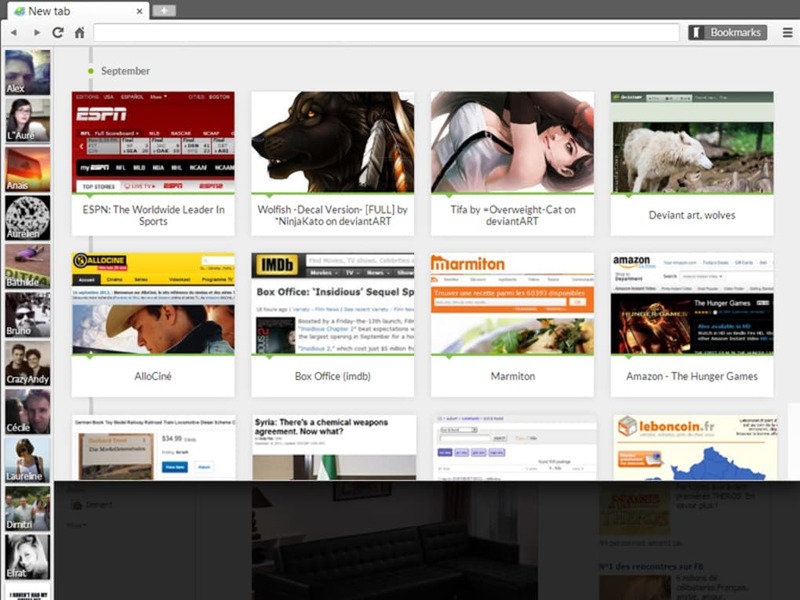 Now, instead of searching for names under a daunting list of bookmarks, you can simply look under your visual stickers to quickly bring up the sites you wish to revisit! What do you think about Beamrise? Do you recommend it? Why?